Rory Block has immersed herself in the blues for literally her entire adult life and part of her teenage years as well. Her five decade career, her prowess as a guitarist/vocalist, and her respect for the history and traditions of the blues have propelled her to the forefront of the American blues pantheon. For the last decade she has been issuing a series of albums that have channeled, copied, and paid tribute to classic blues masters. Son House, Mississippi Fred McDowell, Reverend Gary Davis, Mississippi John Hurt, and Skip James have all been subjects of her approach. Her latest album explores the legacy of Bessie Smith. A Woman’s Soul: Tribute To Bessie Smith is unique in that Smith is a woman and was primarily a vocalist. Bessie Smith, 1894-1937, was a child of poverty who produced a gritty form of the blues. He songs were raw, as was she, and she was not admired within much of the blues community of the day for the crudeness of her approach. She was, however, one of the most commercially successful artists of the pre-second World War era as her songs resonated at a basic level. Her stories were sexual, reflected the poverty around her, and dealt with the racial tensions of her time. “Gimme A Pigfoot And A Bottle Of Beer,” “Need A Little Sugar In My Bowl,” “Weeping Willow Blues,” “Empty Bed Blues,” and “Do Your Duty” traveled her earthy journey. 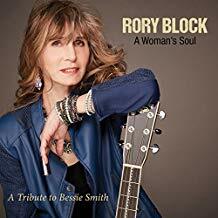 To her credit, Rory does not try to imitate Smith but rather updates her music. Her guitar brings Smith’s songs into the 21st century and fills them in ways that were not available at the time of their creation. Her voice is smoother, which gives the material a different sheen. The songs survive in a different form and format and while they are lodged in the past, they remain powerful. In many ways A Woman’s Soul: Tribute To Bessie Smith, is the most adventurous release in the series. It is a wonderful call from the past that should not go unheeded. The Little Red Rooster Blues Band may not be a household name. but for three decades they have been touring relentlessly and producing first-rate blues. Now, in celebration of their 30th anniversary, they have released an album of 15 original songs titled Lock Up The Liquor. They are a talented bar band who have made good. As such, they have a sense of humor and an easy going approach to their music that are important for any band who has spent years playing in front of small crowds in smoky filled rooms. Guitarist/vocalist Kevin McCann, harp player Dave Holtzman, bassist Jeff Michael. and drummer Ben Holden have learned their craft well. Their music ranges from dance tunes to emotional ballads. “Thrift Store Rubbers” exemplifies their sense of humor and “Cotton Mouth” is a tribute to James Cotton. 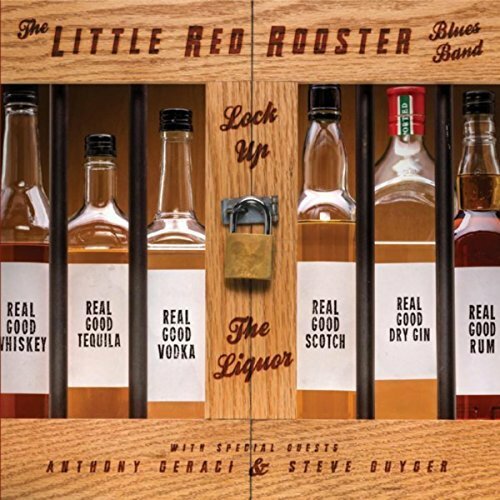 The Little Red Rooster Blues Band have issued an album of entertaining blues. So grab your favorite brew, put your legs up, and enjoy. Mick Kolassa has been releasing a laid back form of blues for decades. What makes his music so interesting is the fact that each of his albums has a distinct flavor, which brings us to his latest release, Double Standards. 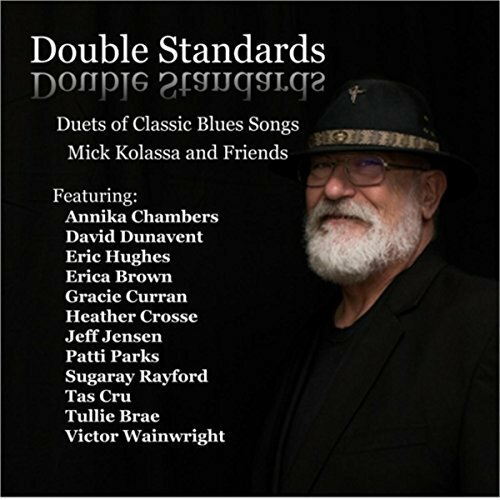 His latest release brings together some old friends and a bunch of classic blues songs, with the result being an album of excellent modern day interpretations. Artists such as Sugaray Rayford, Annika Chambers, Heather Crosse, Patti Parks, and more may not be household names but the common thread is they can all sing and perform. When you combine their talents with those of Kolassa and mix in songs by Willie Dixon, Tampa Red, B.B. King, and more; you have an exciting collection of blues songs. Mike Kolassa is one of those musicians who slides under the radar at times, but he has devoted his life to creating and singing the blues. Double Standards is a fine addition to his expanding legacy. Bobby Darin, (1936-1973), packed a lot into his 37 years of life. He was a teen idol who produced such hits as “Splish Slash” and “Queen Of The Hop” that led to his 1990 induction into The Rock And Roll Hall Of Fame. He was an actor who won a Golden Globe Award and he actually married actress Sandra Dee of Grease song fame. At the height of his commercial appeal, he changed musical directions. He always wanted to be a Sinatra-type singer and recorded “Mack The Knife” from Three Penny Opera. It became one of the most popular singles in music history, topping the Billboard Pop Chart for nine weeks. In 1961 he joined with orchestra leader/arranger Billy May and recorded the album Two Of A Kind. That album has now been reissued with seven bonus songs. I find it interesting that this album was picked for reissue. While it is representative of the second part of his career, it just disappears into his catalogue of releases. It is a smooth and pleasant album but probably not among his best works. He was touring with Johnny Mercer at the time, and the material reflects that relationship. It is an album of standards, highlighted by two Darin/Mercer compositions and four more Mercer songs. “Ace In The Hole” is an old jazz song from 1909. Darin gives it a more Big Band/pop feel in a swinging version. The lightweight “Who Takes Care Of The Caretakers Daughter” is a pun-fill journey. On the other hand he gets to cute with “My Cutey’s Due At Two-To-Two.” It is representative of a number of songs that appeared dated over 50 years ago and today fall into the quaint category today. 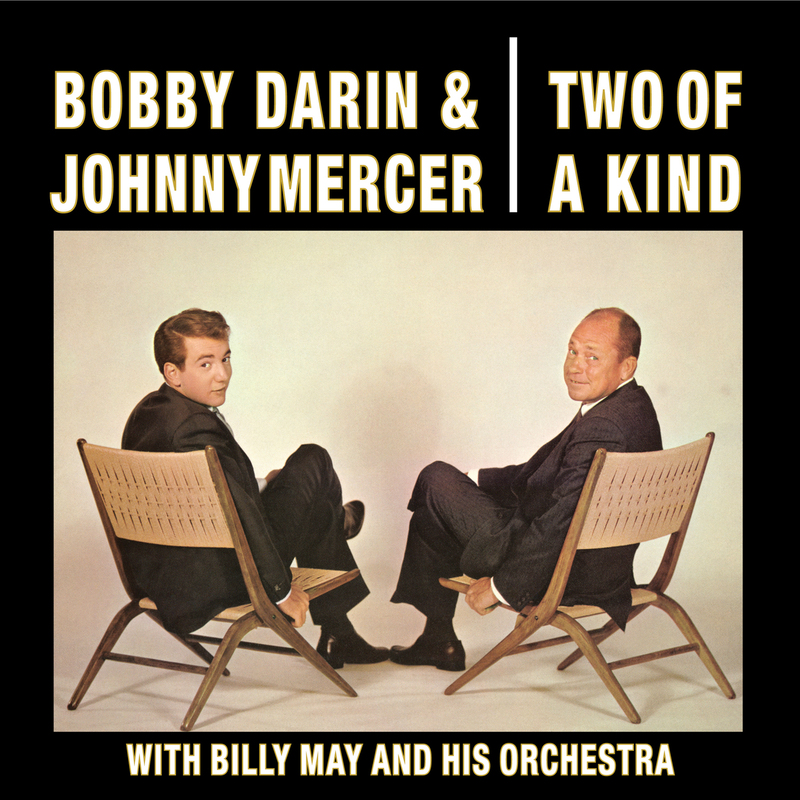 This reissue of Two Of A Kind” will no doubt please Bobby Darin fans but if you want an introduction to Darin at his best, there a a number og Greatest Hits albums available. 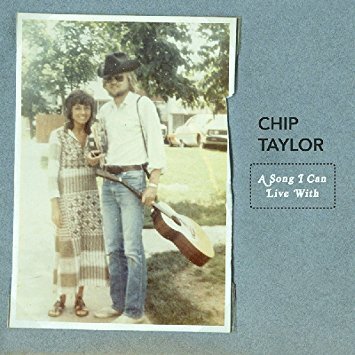 Chip Taylor may be an artist you may not have heard of but he is an artist you probably have heard. He is one of the latest inductees into the Songwriters Hall Of Fame. His career has now reached the 60 year mark as it stretches back to his big 1960’s hit by the Troggs, “Wild Thing. Hundreds of songs have followed that have spread out into rock, country, and folk. Jimi Hendrix, Janis Joplin, Aretha Franklin, Willie Nelson, Dusty Spring, and Frank Sinatra are just a few of the artists who have recorded his songs. He has also been a consistent presence in the studio; producing consistent, melodic, and lyrically incisive music. His solo albums tend to be laid back affairs that are comfortable in a country of folk music setting. Time is a great equalizer and the legend and legacy of The Paul Butterfield Blue Band has started to fade, but as members of The Blues Hall Of Fame and The Rock And Roll Hall Of Fame, they have influenced two generations of electric blues bands and harmonica players that have followed. When they pulled into Boston’s Unicorn Coffee House during May of 1966, it was their classic line-up that took the stage. Harmonica player Paul Butterfield (1987), guitarist Mike Bloomfield (1943-1981), guitarist/vocalist Elvin Bishop, keyboardist Mark Naftalin, drummer Billy Davenport, and bassist Jerome Arnold were at the height of their powers. Butterfield and Bloomfield were extraordinary musicians and Bishop and Naftalin just a cut below. Butterfield was a harp virtuoso. He focused on each note rather than chords, which gave his playing a very different sound and flavor. 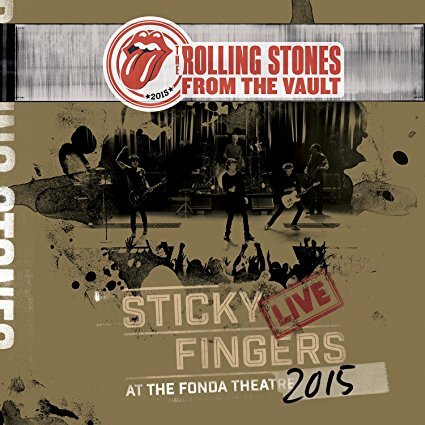 Their set at the Unicorn has been bootlegged a number of times but this is its official release debut. The only negative is the sound quality. It struggles to be average. The good news is the instruments are sharper than the vocals, which is the important thing with this band. Real Gone Music are wizards at cleaning up the sound of archival recordings so the original tapes were probably rough. In some ways, the performance, which took place in a small coffee house setting, was probably gritty anyway and it may be close to what the audience was hearing. Despite the sound issues, it all comes down to the music. The band was in the middle of changing their approach. Gone were the tight three and four minute songs. They were being replaced by longer improvisational tracks, of which the 12 minute version of “Work Song” is an example. Butterfield, Bloomfield, and Naftalin all thrived in an improvisational setting. The set is typical of their early career as it is a combination of classic blues songs, traditional tunes, and a few covers of the day. “Got My Mojo Working,” “I Got A Mind To Give Up Living,” and “Comin’ Home Baby” are energetic presentations of blues songs that are required listening. Covers of two soul songs, Curtis Mayfield’s “Memory Pain” and Smokey Robinson’s “One More Heartache” explore the connection between soul and the blues. 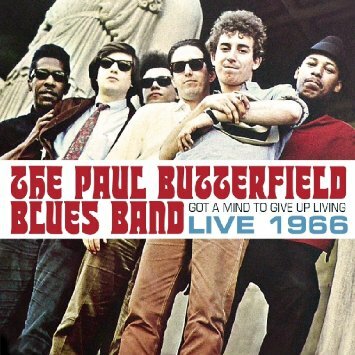 This particular line-up of The Paul Butterfield Blues Band shone brightly for a short time and then disintegrated. Documents such as Got A Mind To Give Up Living: Live 1966 are a trip back in time with an important band that helped to change the course of American music. Despite the sound issues, it is an album well-worth exploring. If there is such a thing as an under the radar super group, East Of Venus is it. Michael Carlucci (Winter Hours), Glenn Mercer (The Feelies), Stan Demeski (The Feelies), and Rob Norris (The Bongos) began playing together close to a decade ago and finally have released their debut album. 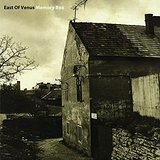 East Of Venus is an energetic alternative rock band that has a raw appeal. Fusing the styles of their former bands, they have managed to produce and ardent and passionate brand of rock that should please fans of any of the bands mentioned. Consisting of two covers, Tim Hardin’s “Reason To Believe” and The Rolling Stones “Citadel,” plus eight originals; it is a romp through some of the best that alternative rock has to offer. Sometimes fate is cruel as this will be the only release by this configuration as Michael Carlucci passed away at the end of 2015 leaving behind an excellent and poignant release. Big Walter Horton, 1921-1981, was a musician that floated under the radar for most of his career, but by people in the know, he was recognized as one of the premier harmonica players of the 20th century. His first recording was in 1939 as a sideman for blues guitarist Little Buddy Doyle and he would continue to support leading bluesmen for the next three decade. As I solo artist he was signed to the fledging and soon to be famous Sun label. Now a number of musicians and especially harmonica players have joined together to recreate his sound and honor his legacy. A virtual army of artists are on board to bring this tribute to fruition. Ronnie Owens, Kim Wilson, Mark Wenner, Andrew Ali, and Sugar Ray Norcia all bring their harmonica skills to modernize the blues. My only criticism is when I open the fold-out package, there is blue printing against a black background, which I simply cannot read without putting it five inches from my face or getting out the old magnifying glass. 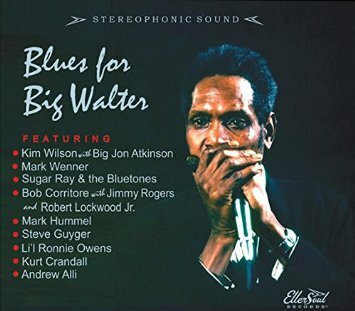 Blues For Big Walter is a fitting tribute to a musician who is many times forgotten today. Best of all, it contains some very good music.